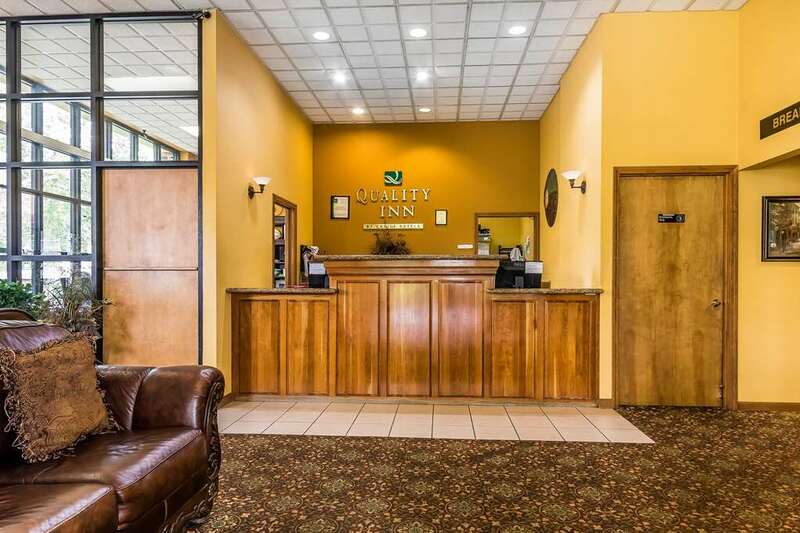 Get more for your hard-earned money at the Quality Inn on the Strip hotel in Branson, MO. Attractions nearby include Lake Taneycomo, Bull Shoals, Silver Dollar City, Branson Landing, Branson Mall Music Theater, Factory Shoppes at Branson Meadows and the Branson Scenic Railway. Get more value with amenities like free breakfast, free WiFi, an indoor heated pool and a seasonal outdoor pool. Guest rooms include coffee makers, TVs, hair dryers, irons and ironing boards. Also, earn rewards including free nights and gift cards with our Choice Privileges Rewards program. College of the Ozark Arpt.